Syphilis is a disease that is well known. In very rare cases though, this sexually transmitted infection can cause facial neuritis and other symptoms associated with nerve irritation or damage. Optic neuritis can be a common condition caused by a number of things. Meningitis can cause this condition in very rare cases, and the odds of this occurring are incredibly tiny. Neuritis symptoms caused by tuberculosis does not occur very often. This is a rare complication of this disease that affects less than one percent of those who suffer from tuberculosis. With Sarcoidosis inflammation is out of control, and can affect many areas of your body. In rare cases this can cause optic nerve problems, including neuritis. This infectious disease can cause optic neuritis in rare and unusual circumstances. Although this is a very unusual and uncommon side effect, which affects less than one percent of patients, it can become serious. Contrary to the name, this infection can result from a bite or lick from a feline. In rare cases neuropathy pain and neuritis may develop, but this is highly unusual. Pernicious anemia is a disorder that affects your red blood cells. In a few rare cases optic neuritis may develop as a result of this type of anemia. Most people with this anemia type do not develop this optic condition. 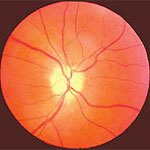 In a very small number of cases with optic neuropathy the cause for this condition is vaccinations. In a few unusual cases complications can occur when vaccines are given. Thallium is an element, and too much results in poisoning and complications. In very uncommon cases this poisoning can result in optic neuritis.